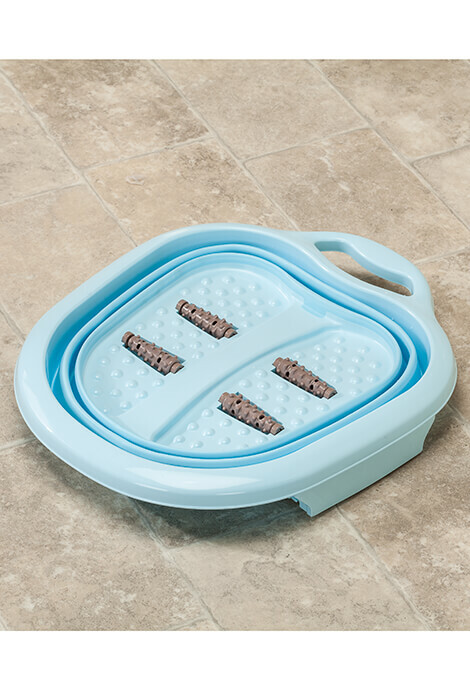 Make feet happy with this Collapsible Foot Spa with Massager. 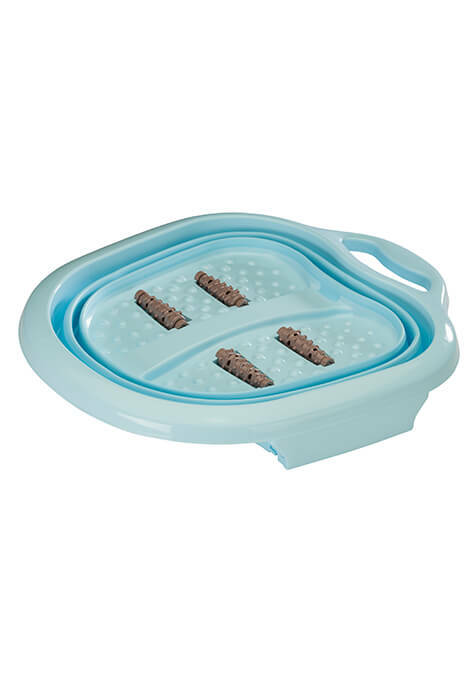 As you treat tired feet to a warm soak, the built-in rollers help massage away aches and improve circulation. 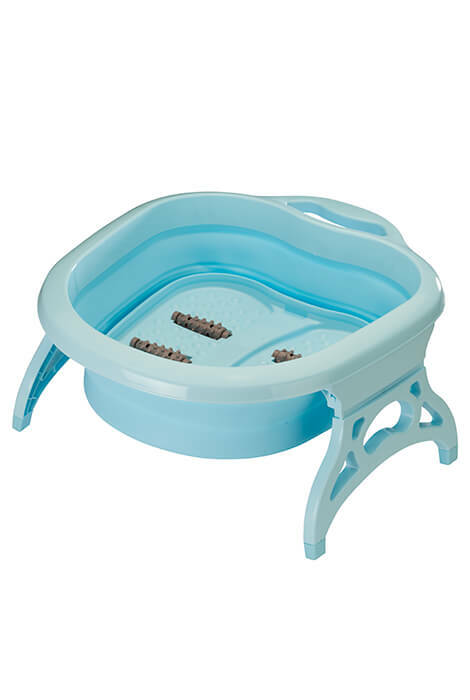 Safe for use with Epsom salts, oils and bubble bath, the foot spa machine helps keep skin soft and healthy. Perfect for managing aching feet or other conditions, softening toenails for easier trimming and as a pre-pedicure beauty routine. Unique collapsible design folds flat for compact storage and includes a handle for easy transport and hanging. Home foot spa measures approx. 18 1/4” long x 15 1/2” wide x 8” high unfolded. Polypropylene/thermoplastic rubber. Helps improve circulation in feet. Safe for use with Epsom salts, oils and bubble bath. Approx. 18 1/4” long x 15 1/2” wide x 8” high unfolded.